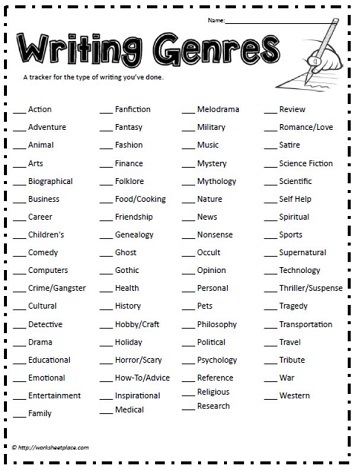 Are Your Students Given Opportunity to Write in a Variety of Genres? game rules, songs, graffiti, grocery lists, thank you notes, headlines, labels, tongue twisters, history letters, journals, how-to manuals, want ads, wishes, lists, interviews, introductions invitations, weather reports. 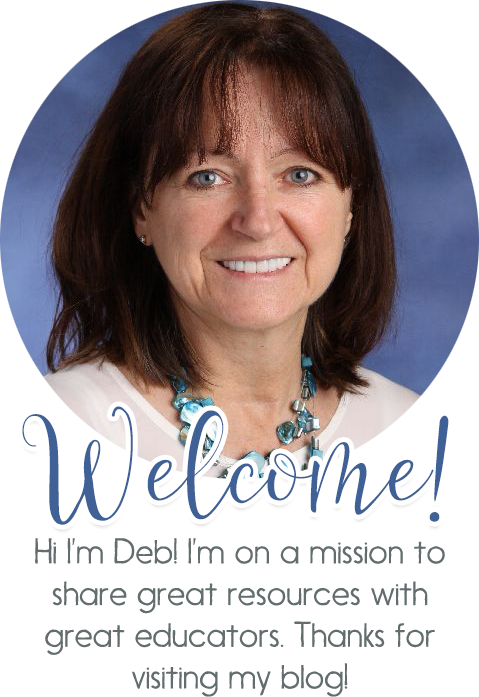 Educators tend to be creative individuals so let's stir it up a bit with our requests for written work! 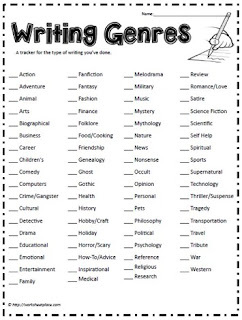 See all of the writing worksheets here.